Quote; "Since 1967, there has been an agreement among 107 countries that prohibits the use of biological, nuclear and chemical weapons from outer space. 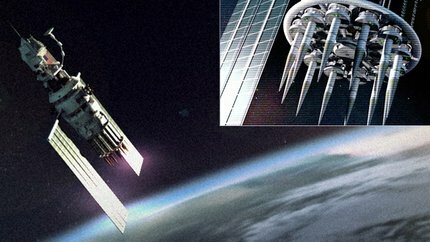 The Air Force now draws new attention with their latest weapon development: super-strong tungsten rods that can be fired from space to any city on Earth. These can hit their targets with a force comparable to that of intercontinental missiles, reports the military news site „We Are The Mighty“." Go to: http://www.disclose.tv/news/the_us_air_force_has_a_new_weapon_as_strong_as_a_nuclear_bomb__but_without_fallout/140227 For full article and videos. Quote; "During the Vietnam War, the US used what it called "Lazy Dog" bombs. These were simply solid steel pieces, less than 2 inches long, fitted with fins. There was no explosive — they were simply dropped by the hundreds from planes flying above Vietnam. Lazy Dog projectiles (aka "kinetic bombardment") could reach speeds of up to 500 mph as they fell to the ground and could penetrate 9 inches of concrete after being dropped from as little as 3,000 feet. The idea is like shooting bullets at a target, except instead of losing velocity as it travels, the projectile is gaining velocity and energy that will be expended on impact. They were shotgunning a large swath of jungle, raining bullet-size death at high speeds. That's how Project Thor came to be. Instead of hundreds of small projectiles from a few thousand feet, Thor used a large projectile from a few thousand miles above the Earth. The "rods from god" idea was a bundle of telephone-pole-size (20 feet long, 1 foot in diameter) tungsten rods, dropped from orbit, reaching a speed of up to 10 times the speed of sound. The rod itself would penetrate hundreds of feet into the Earth, destroying any potential hardened bunkers or secret underground sites. More than that, when the rod hits, the explosion would be on par with the magnitude of a ground-penetrating nuclear weapon — but with no fallout. It would take 15 minutes to destroy a target with such a weapon. One Quora user who works in the defense aerospace industry quoted a cost of no less than $10,000 a pound to fire anything into space. With 20 cubic feet of dense tungsten weighing in at just over 24,000 pounds, the math is easy. Just one of the rods would be prohibitively expensive. The cost of $230 million a rod was unimaginable during the Cold War. These days, not so much. The Bush administration even considered revisiting the idea to hit underground nuclear sites in rogue nations in the years following 9/11. Interestingly enough, the cost of a single Minuteman III ICBM was $7 million in 1962, when it was first introduced ($57 million adjusted for inflation). The trouble with a nuclear payload is that it isn't designed to penetrate deep into the surface. And the fallout from a nuclear device can be devastating to surrounding, potentially friendly areas. I don't think it was the Indians though..! *Arafel: Uninformed and/or disingenuous from Business Insider here (the usual circumlocution from the "money men" -however if BI say it's going down you can bet there will have to be a very good reason why it doesn't-), bunker busting nukes have in-fact proliferated, I see this initiative as a response to precisely those problems, there are after all supposed to be prohibitions against the use of nuclear weapons no matter what the size (although if the videos of the strike on Yemen are valid a "small one" is hardly something one would set off in the garden), Was this what President Trump was referring to recently when he said; "fire and fury like the world has never seen"? For surely any president would prefer to make an appropriate response without having to resort to nuclear weapons? It seems strange that no-one has yet publicly examined the nature and strength of North Korea's defences, you can build some awful big, deep bunkers with all that focused people power, it's not even a question of tech just muscle (especially given the longevity of the N.Korean regime). 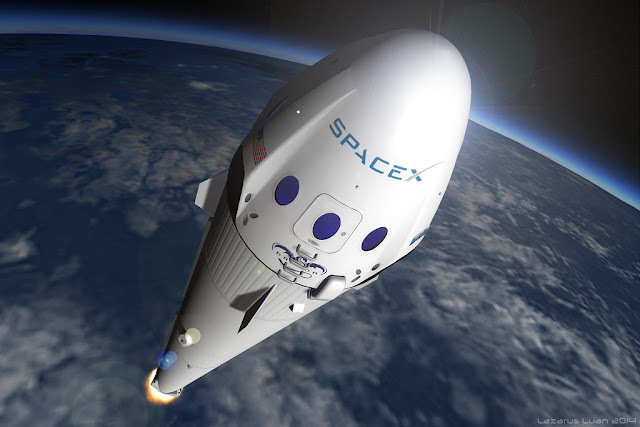 Quote; "A military space plane spread its wings and a rocket stretched its legs during SpaceX’s Sept. 7 launch of a classified mission from NASA’s Kennedy Space Center. 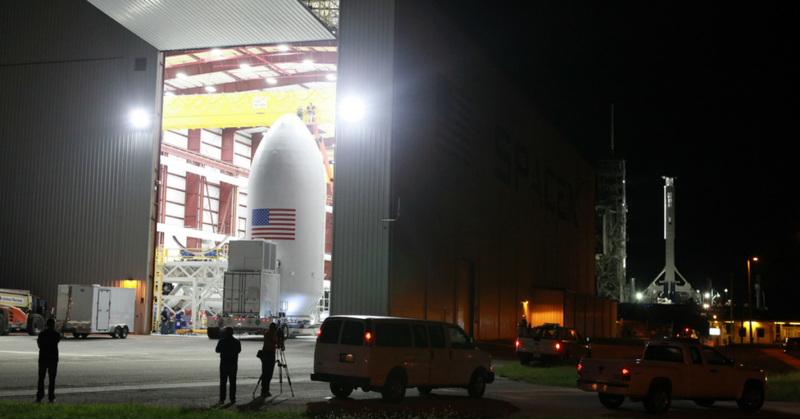 The 230-foot Falcon 9 rocket rumbled from historic pad 39A at 10 a.m., as weather cooperated a day before Brevard County planned mandatory barrier island evacuations ahead of Hurricane Irma’s projected arrival. On top of the rocket was the Air Force’s X-37B Orbital Test Vehicle, an unmanned mini-shuttle resembling one of NASA’s retired orbiters, but about a quarter the size at 29 feet long and windowless. The program was riding for the first time on a SpaceX rocket, after four turns on United Launch Alliance’s Atlas V.
The X-37B Orbital Test Vehicle (OTV-5) is being staged in preparation for its upcoming launch on September 7, 2017. To preserve the mission’s secrecy, SpaceX cut off its broadcast a few minutes into the flight, after nine Merlin main engines cut off and the first-stage booster fell away. About two hours later, Gen. John Raymond, the head of Air Force Space Command, confirmed on Twitter that the launch was a success. Boeing, which built and operates two reusable X-37B orbiters housed in former shuttle hangars at KSC, did the same. After separating, the roughly 16-story Falcon booster pirouetted in space and flew back toward a pad on Cape Canaveral Air Force Station. The rocket stage touched down on four landing legs, announcing its return with sonic booms that reported across the region." Go to: http://www.wearethemighty.com/news/this-secret-air-force-spaceplane-just-got-shot-into-orbit-again For full article. Quote; "WASHINGTON – Defense Secretary Jim Mattis confirmed Monday that the U.S. and South Korea have discussed employing tactical nuclear weapons as an option to defend against North Korea’s nuclear weapons program. The acknowledgment from Mattis comes as the U.S. and international community grapple with increasingly aggressive nuclear weapons testing by North Korea. In the last few weeks, North Korea has tested an intercontinental ballistic missile capable of reaching the U.S. mainland and tested a hydrogen bomb, according to U.S. Strategic Command’s assessment of the program. .."The U.S. has around 500 B-61 low-yield, or “tactical” nuclear gravity bombs ― some with yields as small as 0.3 kilotons in their arsenal, said James McKeon, a nuclear weapons analyst for the Center for Arms Control and Non-Proliferation." Go to: http://www.militarytimes.com/news/your-military/2017/09/18/mattis-use-of-tactical-nuclear-weapons-discussed-with-south-korea/?utm_source=Sailthru&utm_medium=email&utm_campaign=EBB%2009.19.2017&utm_term=Editorial%20-%20Early%20Bird%20Brief For full article.